Sobakawa buckwheat pillows use buckwheat hulls as pillow fillers. Buck wheat hulls make the pillow cooler to sleep on by allowing air to flow freely through the pillow. These buck wheat pillows naturally form the shape of the head and will give better support than foam, polyester, or feathers. They have been used for years around Asia. 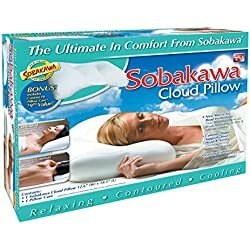 Why Sobakawa Pillows? Sobakawa is the first of its kind to widely sell buckwheat pillows. The best feature of this pillow is that it promotes better air flow; thus, keeping your head cool in the summer and warm during the winter. It is therapeutic because it relieves the stress from your neck by providing ample support. It can lessen back strain and back pain because the buckwheat hulls stay firm a lot longer and adapt to your sleep movements. If youre looking for neck pillows or neck pain pillows, you can certainly use these. The buckwheat husks do not compress or flatten, so your neck will stay aligned throughout your sleep. Some people have used these for years and the support doesnt lessen over time. It is organic and hypoallergenic, so it can be used by people with skin allergies or babies with ultra sensitive skin. 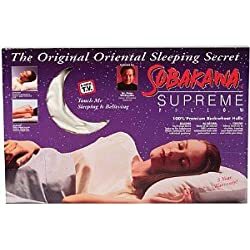 You can use Sobakawa pillows no matter how much you move during sleep. Just lie on your back and never worry as it molds itself to the shape of your head, making for a very comfortable sleep. Regular organic buckwheat pillows are affordable and comfortable, but unlike Sobakawa pillows, they are bigger in sizes and weigh a lot. Also available are buckwheat body pillows if you want full body support. 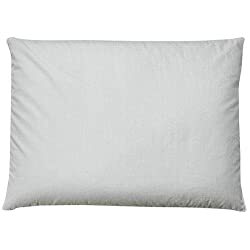 The Makura buckwheat pillow is the cheapest among buckwheat husk pillows. However, sizes are smaller than published. Another Japanese buckwheat pillow is the Soba Gora Makura set, which includes a buckwheat pillow and a buckwheat neck roll. It features a zipper for you to be able to adjust the amount of buckwheat hulls filling. Bucky buckwheat pillows are good for traveling. These buckwheat travel pillows and neck wraps are available in cute designs. If you want something more decorative than Sobakawa buck wheat pillows, consider Bucky pillows. These printed neck pillows will make for nice-looking traveling companions. The Buckwheat Zafu Meditation Cushion Set includes a circular traditional meditation cushion with double stitched pleated sides for extra strength. In addition, it comes with a matching kapok pillow. These are very firm cushions and pillows and not really made for sleeping. If you dont like Sobakawa pillows, other organic pillows are available in the market like Mother Earth Pillows. They are made of natural grains, herbs, spices, and fabric. They also have therapeutic buckwheat hull pillows. Rejuvenation Millet pillows for side sleepers are said to eliminate neck pain by providing full support. However, note that millet hulls have a slightly grassy smell that dissipates after a few weeks. Sobakawa buckwheat pillows are still the best buy, as you cannot deny that quality is a top priority when purchasing any product. They offer great quality at affordable prices, which give you more value for your money. Theyre also widely available and ship to your home easily. Get your good night sleep every day with Sobakawa buckwheat pillows.